Discover how going outdoors and spending time in nature, from forest bathing to a walk in the park, provides a simple and powerful way to improve your health and well-being. What we all know on an intuitive level is a scientific truth: the simple act of going outside is good for us—really good for us. It has been shown to have a positive effect on a huge number of health conditions and issues, from diabetes to depression, anxiety to arteriolosclerosis. 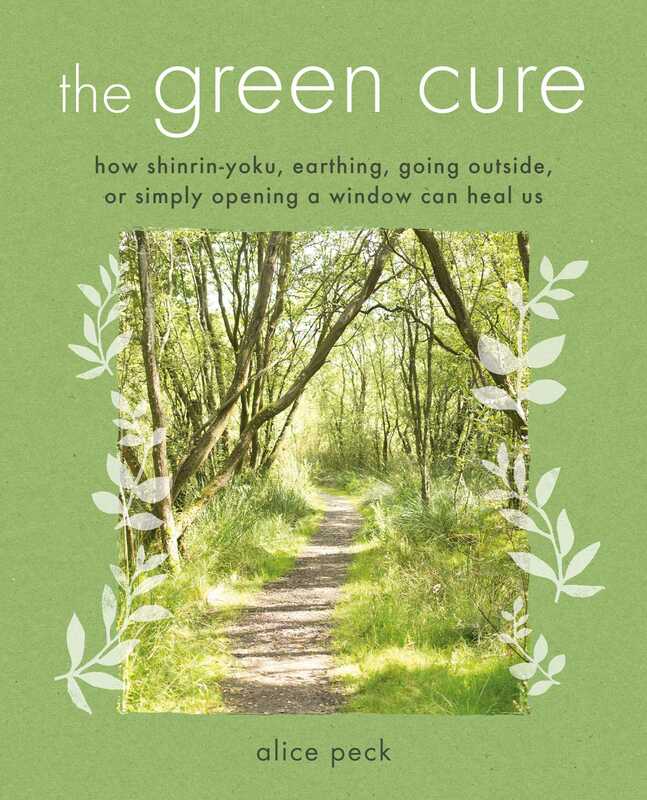 Down-to-earth and relevant, The Green Cure shows you that you don’t need a lot of fancy equipment or vacation days to heal your body and mind. An afternoon stroll among trees in the park, a dip in the ocean, or sinking your bare feet in the mud might change your life! Each chapter combines anecdotes and literature alongside recent medical and scientific discoveries to show how nature can heal us. The book also includes “prescriptions” for how to use the information in realistic, easy ways, so you, too, can enjoy the beneficial shift within that simply going outdoors can bring you. Drawn to finding the sacred in everyday things, Alice Peck is the author of Be More Tree, Mindful Beads, and The Secret Language of Herbs, all published by CICO Books. With Chris Grosso she co-wrote Dead Set on Living—Making the Difficult but Beautiful Journey from F#*king Up to Waking Up. Her writing has appeared in Center for Humans & Nature, Spirituality & Health, Daily Good, and The Mountain Record. As an editor, she focuses on creativity, mind, and spirit, collaborating with Zen teachers, Tibetan Buddhist psychotherapists, meditation instructors, novelists, and more. She lives in Red Hook, Brooklyn, New York with her family. Find out more at www.alicepeck.com.